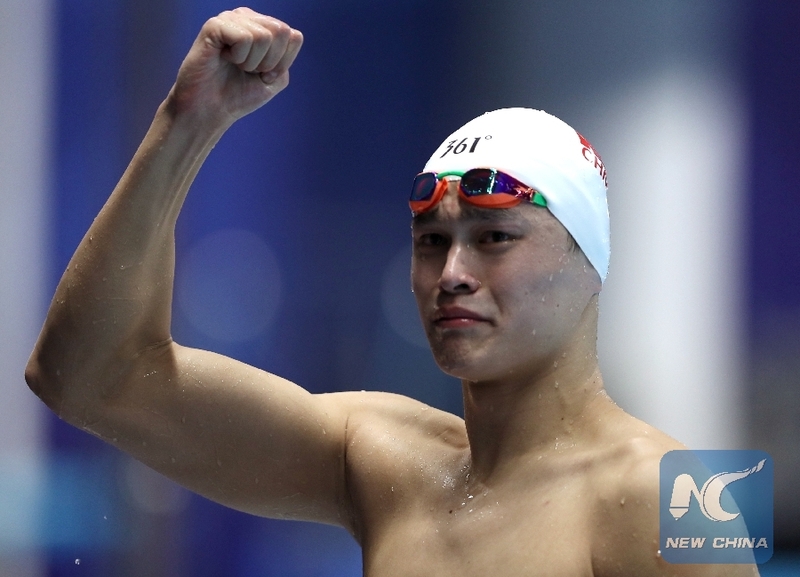 BEIJING, Jan. 27 (Xinhua) -- Chinese Olympic champion Sun Yang is considering to file a lawsuit against British newspaper the Sunday Times over a report claiming the swimmer violated anti-doping rules. In a statement sent to Xinhua by Sun's lawyer Zhang Qihuai on Sunday, Zhang said the newspaper reported the incident with "a malign intention" which "severely damaged Sun Yang's reputation and violated his privacy." "We reserve the right to file a lawsuit against the relevant international media which reports the incident," the statement said. In the report titled "Olympic champion Sun Yang abuses drug testers", the newspaper reported Sun "faces a lifetime ban after a clash with anti-doping testers ended in him and his security guard using a hammer to smash a sealed vial containing the swimmer's blood." It said Sun "objected to the identification card of the chaperone, there to observe him passing urine, claiming it was insufficient proof he was an official member of the testing team." Zhang denounced the report as "untruthful". "FINA has ruled on Jan. 3, 2019 that Sun Yang did not violate the World Anti-Doping Code," Zhang said. As for the dispute with the Doping Control Officers (DCO), Zhang said it was because the doping testers breached rules during the process. "The three IDTM staff members failed to produce IDTM authorization letters and also could not provide either the DCO certificate or a nurse license," Zhang said. "And they fabricated an untruthful report claiming Sun Yang broke anti-doping rules and sent it to FINA," Zhang said.